Under cover of an economic update, the Ontario government has announced it is canceling a long-promised French-language university, slashing spending on French-language services, and eliminating the French Language Services Commissioner in Ontario. This is an attack on the rights of French-speaking minorities in Ontario to education and government services in French and, if it’s not reversed, is a threat to Francophone communities across the country. We demand the federal government step up to protect minority language rights in Ontario and across Canada, and use its federal authority to compel the Ontario government to reverse course. The new Tory government in Ontario has already demonstrated its willingness to trample the civil and democratic rights of citizens to elect local governments and school boards, even threatening to use the not-withstanding clause to do it. They have trampled the rights of workers to free collective bargaining with back-to-work legislation imposed just 3 weeks after taking office. They have rolled back the $15 minimum wage set for January 2019, and reversed labour law reforms protecting workers from greedy employers. They have attacked the poor by canceling the basic income project and then followed up by slashing a meager 3% increase in social assistance payments – lower than the rate of inflation – leaving hundreds of thousands of people, including children, without enough food to eat. Now the Ontario Tories have lined up with the far-right “People’s Alliance Party” in New Brunswick, which campaigned during this year’s election to roll-back the rights of Acadians to education and services in French, and which now holds the balance of power in the NB provincial government. The federal government must also step up to protect the language and education rights of Acadians, and recognize that Francophone rights are already under attack or threatened across Canada. During the Ontario election the Tories promised to support French language services and education, and the French language university that Francophones have waited for a long time. The government’s “about-turn” is not a change of heart, but a clear expose of a reactionary and right-wing populist government that is riddled with anti-French chauvinism, just like the People’s Alliance Party in NB, and like the federal Tories’ xenophobic and Islamophobic stances in Ottawa. 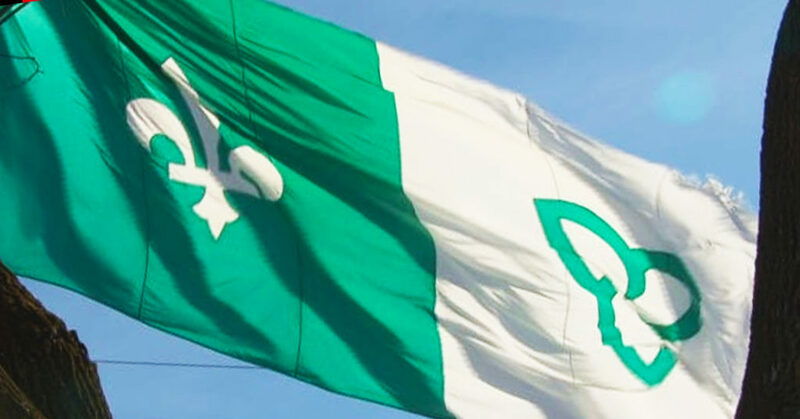 We call on labour and the progressive and democratic movements to step up to defend the rights of Francophones in Ontario and across Canada, by demanding the Ontario government reverse its racist and chauvinist policy and by demanding the federal government protect Francophone and minority rights using its federal authority and powers to do so. When the civil and democratic rights of some are attacked, the civil and democratic rights of all are threatened.